When I purchased my Chromebook, I liked everything about it except for the lack of any applications like Microsoft Office. Yes, Google does offer Google Docs, but it just was not the same. Then in a surprising move, Microsoft published Office Online to the Chrome Web Store. 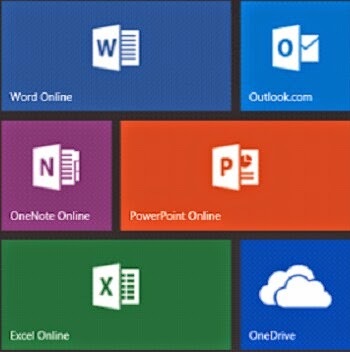 Office Online works great in all browsers, but for those of you who use Chrome, you can now add Word Online, Excel Online, and PowerPoint Online to your Chrome App launcher to create new Office documents online with a single click from your desktop. Best of all it’s free. Microsoft wants you to pay for a subscription to Office 365, which is the only way to get access to the iPhone and Android versions of the suite. Office Online has limited functionality, and some of your favorite menu options may not be there. However, it provides enough functionality to create and edit basic Office files. After all, most of us only ever used less than 20% of the functionality in Microsoft Office. Right now there is no integration to Google Drive, but Microsoft gives you 7 GB of free storage. Office Online is not for everyone, however students and home users should find it to be useful, especially if they own a Chromebook.